Rare opportunity-Town meets Country! 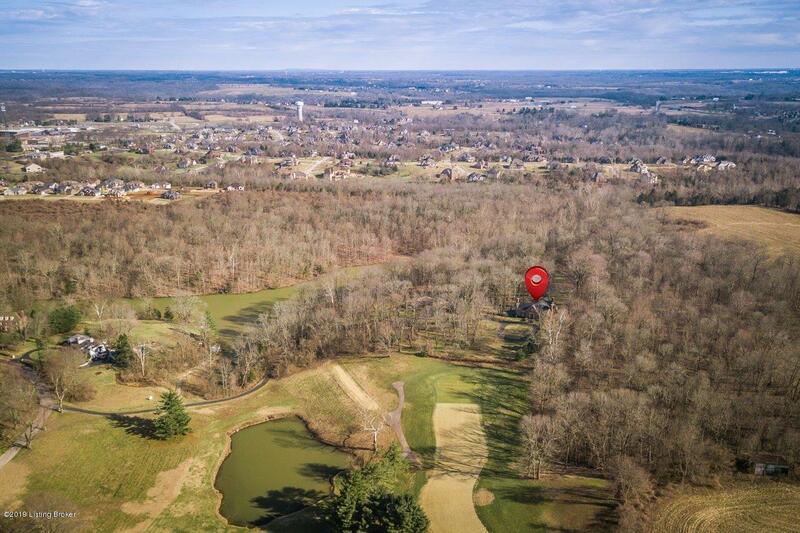 Located 25 minutes from downtown in Oldham County and surrounded by water, woods and golf course views, this thoughtfully constructed American Gothic style brick home has much to offer. Custom built and designed by Quintin Biagi, this 5 bedroom, 4 bath home epitomizes charm and grace but has all the modern amenities with all the privacy you crave. 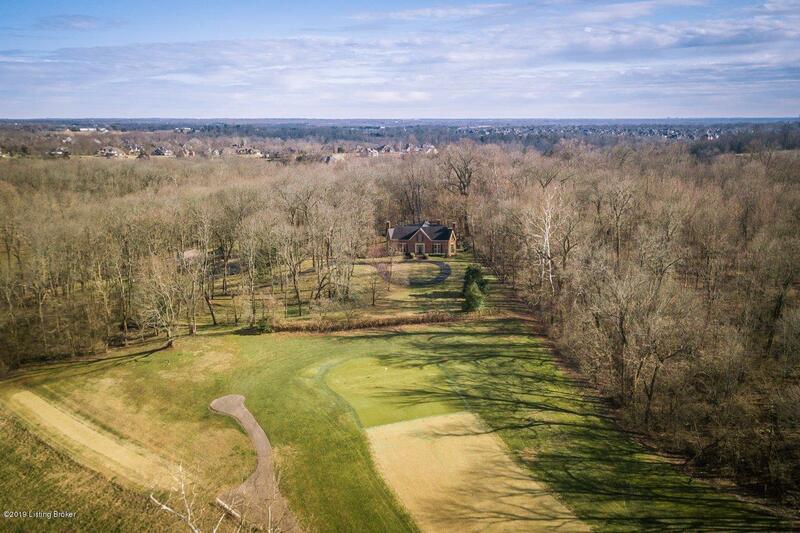 Nestled on 9.6 acres and privately adjoining Harmony Landing Country Club with lake, wood and golf course views. Center Hall design with dentil crown molding, 12 ft ceilings hardwood flooring throughout, custom millwork, and 8 fireplaces. Formal living room and dining room as well as a library are ideal for entertaining. Two master bedrooms, one first floor and one on the 2nd level having its own wing.Fabulous kitchen with gathering area, large wood burning fireplace and cozy banquette. Walk-in pantry, custom wet bar, four season sunroom with floor to ceiling windows and beautiful lake views. Other features include: pajama lounge, 2 laundry rooms, mud room, exercise room, loads of storage. 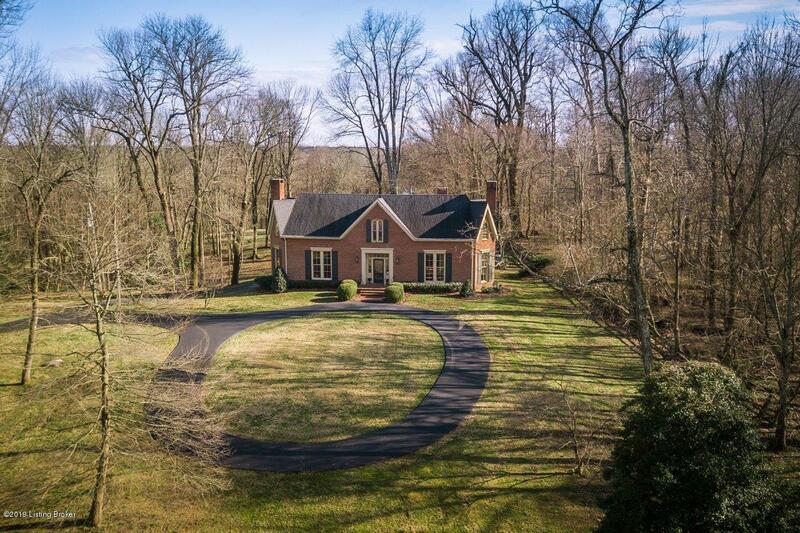 Exterior features include: brick terrace, lighted paddle tennis court, fieldstone fire pit, 2 stall barn, storage shed with dog kennel, and private access to Harmony Landing Country Club Lake. Property is deeded in 2 lots-house with five acres and 4.5 acre lot fronting the lake. Owner is a licensed real estate agent. By appt only.